Keaton Jennings bats for Lancashire at Stanley Park in the Royal London One Day Cup last season. 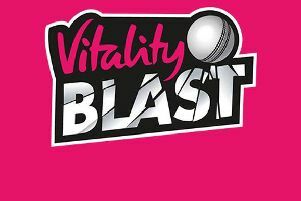 Blackpool Cricket Club is hopeful that Lancashire’s decision not to stage a first XI fixture at Stanley Park next season is a one-off, though the club will seek talks with Old Trafford to clarify whether there are deeper underlying reasons. The venues for two of next season’s Lancashire Thunder home matches in the women’s Super League are yet to be confirmed and Blackpool is confident of hosting one of those, as it did this year. There is also the possibility of Second XI county cricket at Stanley Park next year, though fixtures are not expected until the New Year. Blackpool staged a group game in the Royal London One-Day Cup for the fourth successive year in May but its exclusion next year did not come as a surprise. All Lancashire’s home group games in the tournament are to be staged at Emirates Old Trafford in 2019 as the county compensates for its need to take two County Championship fixtures away from Manchester. Both of June’s home fixtures in the second division will be staged at outgrounds because of the World Cup, in which Lancashire hosts six games. The first of those against Leicestershire will go to Liverpool (which also stages two Kia Super League fixtures) and the second against Durham is expected to be switched to Southport. Blackpool has not staged a County Championship match since 2011 and would appear to have fallen to the foot of the pecking order. Blackpool chairman David Cresswell told The Gazette: “I believe we are earmarked for a ladies’ game in August and hopefully that will be confirmed soon. “The way they have rearranged the Royal London One-Day fixtures to get them all played by the start of May, it came as no surprise that they would all be played at headquarters. 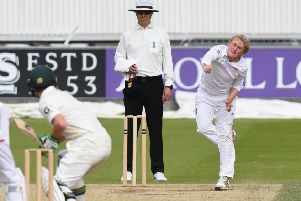 “There has been no indication that they won't be back herel in 2020, though we need to have a conversation with the county so we fully understand all the reasons for the first XI not coming to us next year. Lancashire CCC will not comment specifically on Blackpool but confirmed that the decision to play all one-day games at Old Trafford next year was for the benefit of members, given the need to take two four-dayers elsewhere.